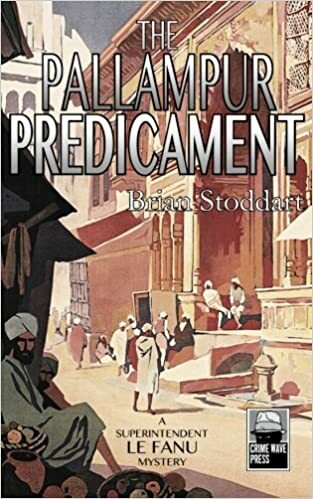 On this adventure, Le Fanu is sent from Madras across the Bay of Bengal to investigate the case of a missing Indian Civil Service officer that somehow ties into another case. Really, though, it is an excuse to get Le Fanu “out of town”. He is frustrated at being Acting Inspector-General of Police, unhappy in his personal life, faces the prospect of his few influential supporters moving on in their careers, and the grim possibility that his bete noire boss might just return. 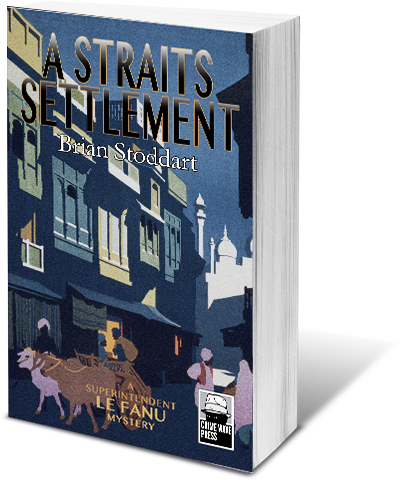 So Le Fanu goes off to the Straits Settlements and, as usual, things become complicated, not least because he meets an intriguing Straits Chinese woman. Writing this book allowed me to connect one of my favourite places with another. 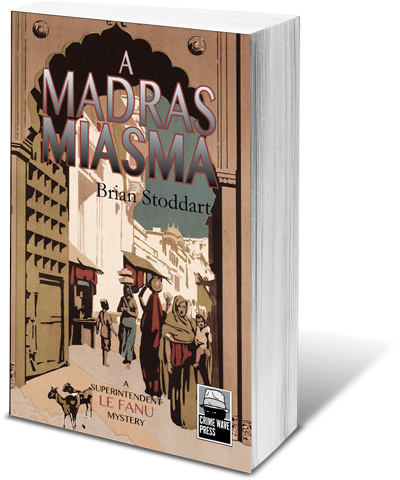 Le Fanu appeared because of my fascination for Madras now Chennai, a fascination that began a long time ago when I went there to research my PhD and that has continued in the years since. I first encountered Penang way back then when I was on my way to India for the first time. It was the quintessential Asian “place”, well named as “The Pearl of the Orient” and, a year later, I spent a month writing on the beach at Batu Ferringhi. There was just one hotel there, where I stayed, but the new ones were on the way and now, of course, it is hard to find the beach because of the buildings. Then, years later, along with Sandi, Kirsten and Laura I got to live there for three years working on a higher education project. It remains one of my very favourite places and it sparked one of my great obsessions, collecting Straits Chinese porcelain. (Here is a recent purchase). My porcelain preoccupation gets a run in A Straits Settlement, so look out for that. As usual, though, the new book seems “so long ago” even though it was finished just a few short months ago. I am already onto the next one, have two other non-fiction works (including a true crime) well advanced and a couple of film and television scripts in the works all along with trying to keep up my reading, taking photographs, having a life and finding time to fit in my new mania for mountain bike riding. Well, what else was I going to do in Queenstown, New Zealand? The appearance of a new book, however, is always cause for pause. The most immediate reason is the fear that no-one will like the new book. That never goes away and I doubt there is an author going around who does not suffer from the anxiety. Then, as the industrial part of the process (editing, production, distribution, promotion, social media, selling) kicks in to overtake the creative (the mere writing of the book), for me at least there raises the question of why I am doing this. Maori culture in New Zealand has a great tradition of storytelling and oratory as do many others, of course. Somewhere in among the mountain of things I’ve collected over the years is a “talking stick” produced by a craftsman from the Kwakiutl First nation in Canada. In gatherings, the talking stick was used to ensure as many voices as possible were heard. Only the person holding the stick could speak at that time, and the stick was passed around to ensure inclusivity. There were many, many times in the interminable round of university meetings when I wished that we used the talking stick! The point, then, is that story telling is a part of us, and the writer goes one step or several beyond that to extend the process. That is why once one book is done we put aside the industrial drudgery and the fear of rejection, the fear of finding publishers and the approval of reviewers and all the rest to do yet another one. It is because there are a lot more stories to be told.